We help our clients address the complex challenges of managing substantial wealth so they can focus on their careers, families and enjoyment of life. 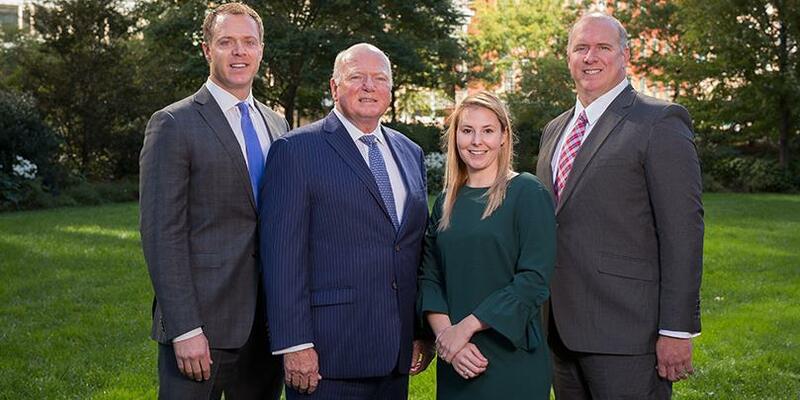 At the Heights Group, we are a tightly knit team of experienced investment managers, wealth planners and client service professionals who combine our skills to help successful families and individuals address the complex challenges of managing wealth. Taking a holistic approach, we will work with you to identify your ideal financial destination and develop comprehensive strategies designed to get you where you want to go. Combining 85 years of collective experience with the powerful resources of Morgan Stanley we help you translate your goals into an actionable financial strategy designed to grow assets, preserve wealth and help ensure a successful financial life and legacy. We are a multigenerational team focused on addressing the lifelong needs of families with multigenerational wealth. With a built-in succession plan, we will be there to advise you through every stage of your career, into your retirement and on to the goals of the next generation. We look forward to learning more about you and your family, and discussing how we can help you reach your goals. Global Sports & Entertainment is a dedicated division of Morgan Stanley Wealth Management that focuses exclusively on the complex financial needs of professional athletes and entertainers. Our division grew out of an understanding that every sports and entertainment profession has its own unique characteristics, earnings profile and career span. Our clients need the support of advisors who understand how their money flows from their work to their wallet and can help them craft innovative financial strategies that match their lifestyle and career trajectory. A partner of the Heights Group, Ryan Heald has earned the rare distinction of Morgan Stanley Sports and Entertainment Director, a designation earned by fewer than one half of 1% of Morgan Stanley Financial Advisors. The designation came in recognition of two decades of experience working with top performers in sports and entertainment. We started working with many of these clients and their families before they signed their first pro contracts, helping them understand, and prepare for, the complex financial challenges they would face as their careers progressed. We serve as their go-to advisors, always ready to help them sort through any financial issue and make informed decisions. Should you choose to work with us, our goal will be to help you create and implement strategies to protect what you have earned, create an enduring legacy and pursue your most important life goals. A member of the Heights Group since 2001, Ryan Heald is committed to providing each of the team’s clients with unbiased, comprehensive, individually tailored financial advice. 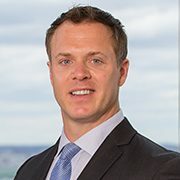 Ryan is a NFL Players Association Registered Player Financial Advisor, and is among fewer than one half of 1% of Morgan Stanley Financial Advisors to have earned the designation of Morgan Stanley Global Sports and Entertainment Director. The Heights Group is part of a highly specialized wealth management division that is optimized to address the unique and complex needs of professional athletes, coaches and entertainers. Ryan has the experience, education and access to world-class resources needed to help high-achieving professionals in sports and entertainment make smart choices about how they save, spend, invest, borrow, protect and give. The only Global Sports and Entertainment Director in New England, Ryan has been a featured guest financial education speaker to the New England Patriots and Cape Cod Baseball League. In recognition of his efforts on behalf of his clients, Ryan has received the Boston Magazine Five Star Wealth Management Award for five consecutive years (2013-2017). Ryan has served as a consultant to the Boston Red Sox and held a graduate internship at Athletes First, a sports representation agency in Laguna Hills, CA. Ryan graduated from Boston College with a bachelor’s degree from the Wallace E. Carroll School of Management. He also holds a Masters in Business Administration and Sports Business Management from San Diego State University. Ryan serves as Vice President on the board of the Boston College Varsity Club and he is an advisory board member of the Concussion Legacy Foundation, an organization dedicated to researching traumatic brain injuries to help athletes reach their full potential on and off the field. Ryan resides in Boston’s Back Bay and enjoys skiing in the winter and boating on summer weekends in Chatham on Cape Cod. An essential member of The Heights Group for nearly two decades, Brooke focuses on several key aspects of investment planning and portfolio construction, including asset allocation, analysis and selection of investment managers, and performance reporting. Brooke has earned the title of Morgan Stanley Portfolio Manager, placing him among a select group of Financial Advisors who are qualified by the firm—based on training, experience and commitment—to independently manage client assets. Dedicated to character and integrity, Brooke holds a certificate in Financial Planning from Boston University. He has been recognized as a five time recipient of the Five Star Wealth Management Award (2013-2017) as noted in Boston Magazine. Brooke earned a bachelor’s degree from Boston College, where he was also a standout player on the varsity football team. His journey from non scholarship walk-on to earning a full scholarship as a starting Linebacker at BC under Head Coach Tom O'Brien was documented by many national media outlets. Brooke has served on the Board of the Boston College Varsity Club and his experience as a Division 1 student-athlete has contributed to his ability to mentor and advise current student-athletes and professional athlete clients alike, emphasizing the importance of goal setting and career development. Active in the community, Brooke has led volunteer initiatives for several charitable organizations including The Woods Mullen Shelter and Home For Little Wanderers. Brooke enjoys skiing and coaching the Duxbury Youth Soccer teams of his sons, Lucas and Cameron. Founding The Heights Group twenty years ago is among the greatest accomplishments of Guy’s storied wealth management career. For nearly four decades Guy has helped affluent individuals and families to preserve, manage, and grow their wealth. 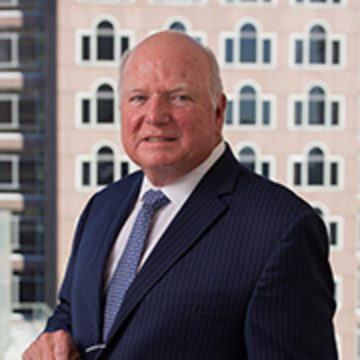 Prior to The Heights Group joining Morgan Stanley in October 2016, Guy served as a Managing Director at Wells Fargo Advisors, RBC Wealth Management and SG Cowen. Guy has earned the title of Morgan Stanley Portfolio Manager, placing him among a select group of Financial Advisors who are qualified by the firm—based on training, experience and commitment—to independently manage client assets. 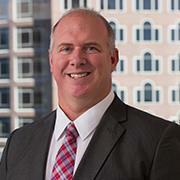 His extensive industry leadership includes two terms as Chairman of the New England District for the Securities Industry Association (SIA) and many years as a NFLPA Registered Player Financial Advisor. Guy is a dedicated and involved member of the community. He has served as President and coach of Sudbury Little League, Vice President and coach of the Lincoln-Sudbury Pop Warner Football, and a member of the Board of Governors of Nashawtuc Country Club in Concord, MA. His philanthropic leadership has benefited The Home for Little Wanderers and Boston College’s fundraising campaign for the Yawkey Athletics Center. Guy is also a proud Veteran of the United States National Guard. Guy is a graduate of New England College with a degree in economics and history. He is an avid golfer and enjoys spending time with his wife Gail, his high school sweetheart, and their family on summer weekends along the ocean in Chatham, MA. Guy is proud and pleased to have the opportunity to work with his two sons to create a family legacy of thoughtful, noteworthy wealth management.